Field is about our impact on the environment and the evolution of species. Your actions have consequences in the work – as you explore the landscape you trigger rapidly escalating mutations in animals and plantlife. 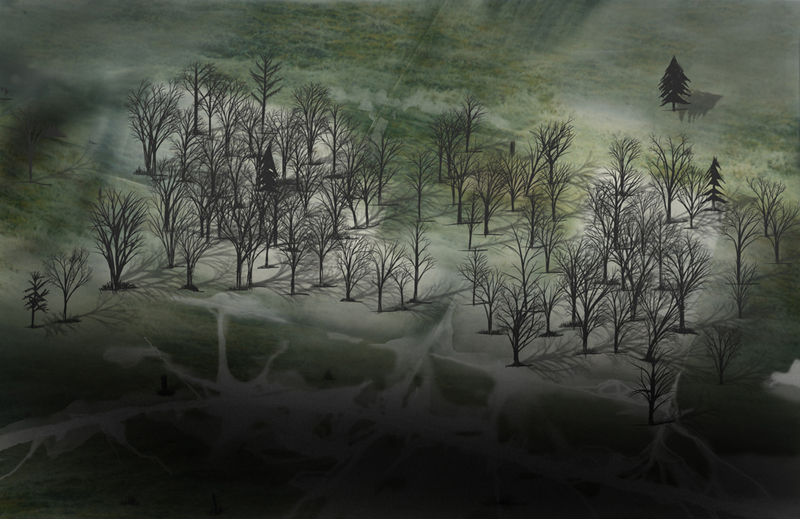 The work can be seen as a dark game of sorts. 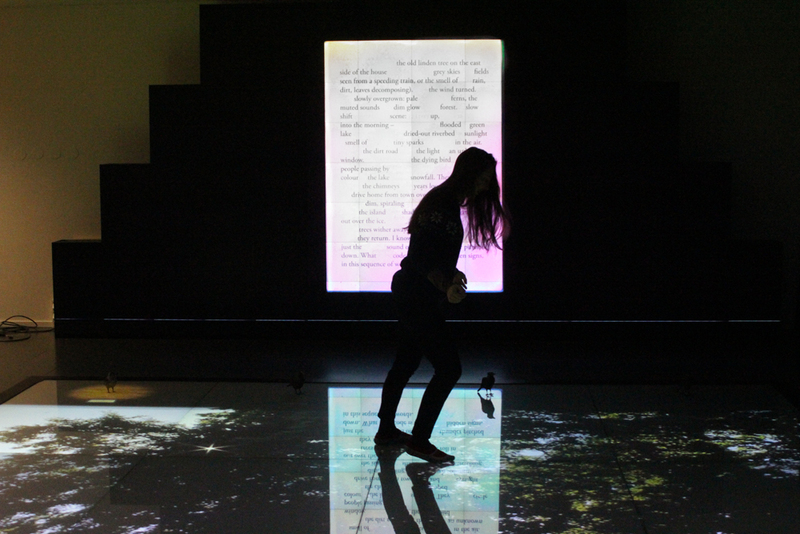 It consists of interactive landscape animations on a floor touchscreen of 20 sqm, a series of sculptural mutations of the Eurasian Jackdaw*, an ever-changing soundscape and an interactive screen wall with a text responding to the changing DNA of the bird – as the ”code" of todays species is slowly lost, so is the code and context of language. The gaps in the text correspond to the shift in the DNA sequence, prose turns into dark poetry, connections and meaning changing for each iteration. All these pieces are connected: as you explore the landscape and trigger the glowing touch points with your body, time is rapidly speeding up (clouds move over the scene, trees wither away, a flood is coming), one by one the four bird sculptures in the installation will be ”activated” with light and sound, spiraling the species further down into mutations. At the end of the piece, no lights remain in the landscape, the sound is immense, all mutations have occurred, the last poetry dissolves into entropy. Then all fades to black. Field was produced, and premiered, at HUMlab, Umeå University. *Mutations of Eurasian Jackdaw (Corvus Monedula), in a gradual shift over 4 sculpture iterations. (Eyes enlarged for better sight as ash clouds cover the sun, legs elongated as habitats are flooded, colour slowly changing to dark green for protection in new swamps, as they become land bound. Beak elongated as feeding habits change.) In the installation these are placed on the floor screen.